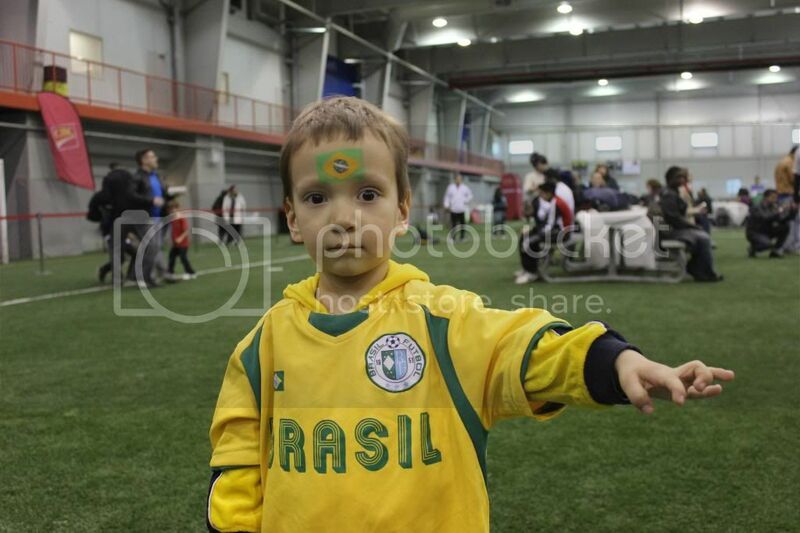 We did not get a chance to watch the soccer game Paris St Germain vs Barcelona in Paris this month but were lucky to attend 2014 FIFA World Cup™ Winner's Trophy Event last week, close to home in Vaughan at TRIO Sportsplex thanks to CIBC and VISA. 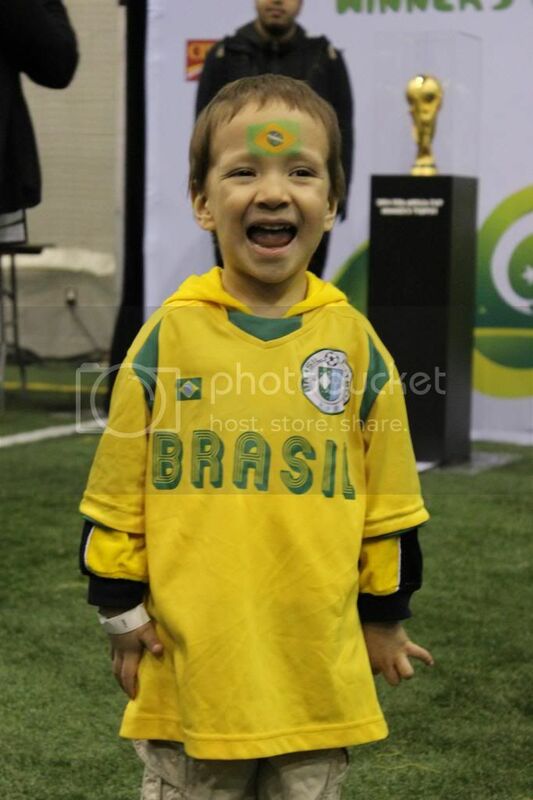 I still can't believe that this Trophy will be awarded to the champions of the 2014 FIFA World Cup in Brazil. 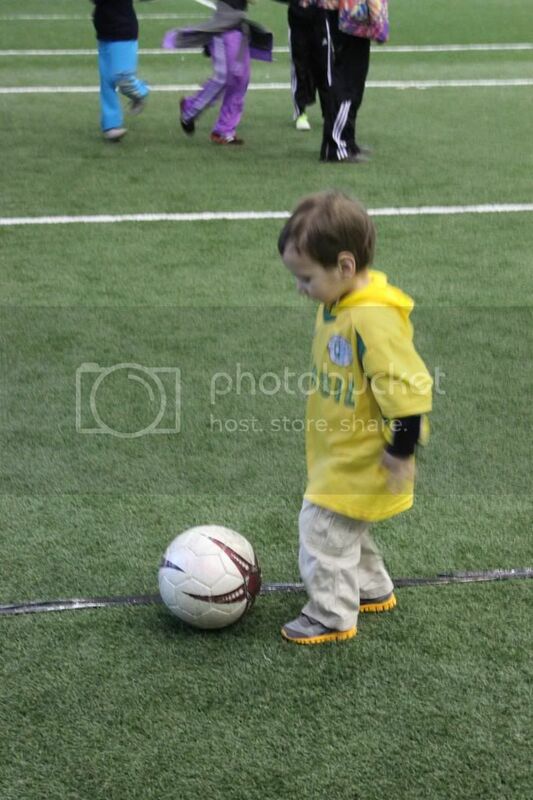 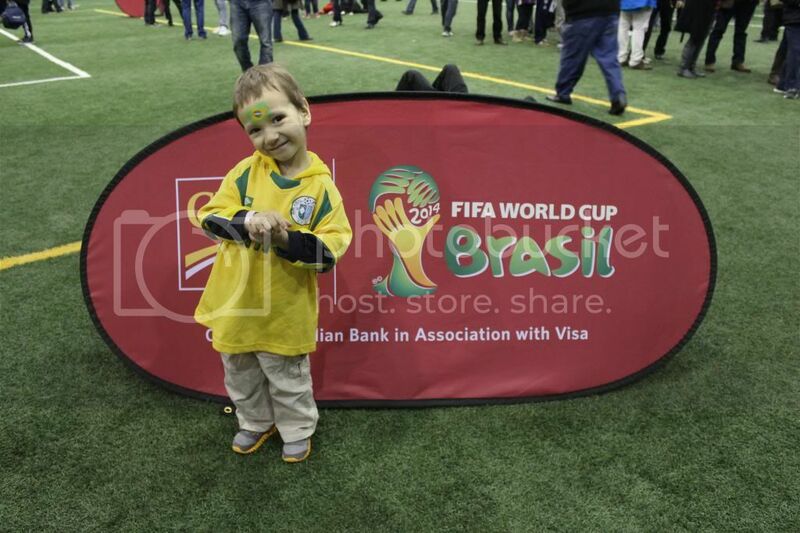 The event was filled with many activities so Teddy had a good time there trying soccer drills, playing games, face painting and posing with the 2014 FIFA World Cup Winner's Trophy.